First time growing for me, I put them in to early? April? but they survived the heat, any secrets to help them now? this week the baby sprouts came out on a few plants, others small plants sprouts did not come out yet. Holy moly, I would assume that the sideways growing plant in the 2nd pic is the Brussels. I may have planted mine too close to my mustard greens. Looking good though, very strong. This is my first time with them, you know all kids hate them just because. But they should be plenty strong when the freeze hits. I hear they are better after the first frost. Good luck baring any crazy weather (yeah right like this year hasn't been crazy enough) they will more than likely be very productive. Just a tip: Watch closely for aphids. The little suckers can ruin the crop. I put to close to the fence, they want water now. gixxerific wrote: Holy moly, I would assume that the sideways growing plant in the 2nd pic is the Brussels. I'm sorry I see now you have like 6 plants there, it looked like one plant growing sideways. This tree on a job (home remodel) I was at again comes out of the ground about 2-3 feet then turns 90 degrees to the left about 8 feet than 90 degrees straight up. It looks crazy I even thought about taking a pic today to show you guy's, but I didn't and we are done there. 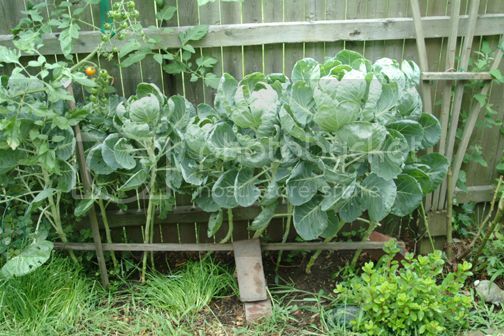 Those do look VERY close to the fence, this is my first time trying them I believe they are supposed to be 15-20 inches apart, i also hear they grow VERY tall. Good luck, oh and give a big drink if they are thirsty. 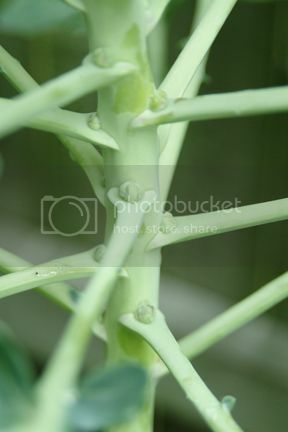 :Edit: Do you have them supported via trellising of some sorts are they growing up on there own, those suckers look top heavy? 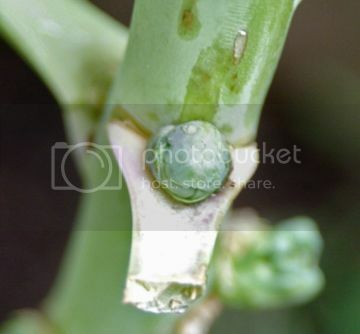 jal_ut wrote: Just a tip: Watch closely for aphids. The little suckers can ruin the crop. I am holding them up with a stick now, maybe each should be tight up .